My favorite room is the computer room and my favorite accessory is the computer because i love to chat with my friends and family that live out of state. My favorite neighborhood i guess would be downtown winston salem because there is so much to do there and so much to see. My next home project is going to be the kitchen. We want to redo the counters and the cabinets and close off one wall. We also want to redo the floor and refinish all the woodfloors on the main level. We used them when we bought our his in 2004 because there was a small termite trail in the basement. The treated the house and all the way around the house in the ground. We have them come back once a year to check for termites. As long as we keep up with our contract every year if we do get termites again they will treat them at no extra cost. They are very nice to work with and always do a detailed job. 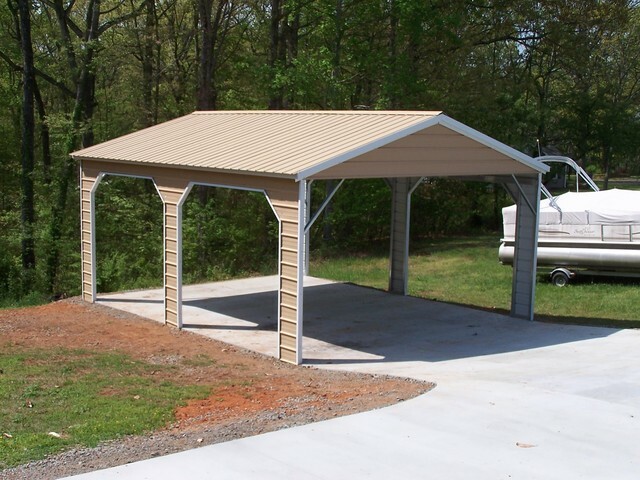 We just recently had carolina carports install a large carport for us to keep our boat and truck under. They were very fast and did an excellent job. We had a problem where we were quoted wrong by the place we ordered in from and carolina carports fixed the problem and did not charge us any diference. They were really nice people and left the job very clean. We have been using Waste Management for going on 4 years know. They are very reliable and always show up about the same time of day. They dont leave any spilled garbage or anything and usually takes extra things like large boxes ect. We love them and would very highly recommend them. I had cloverfields in to clean my home. They are very affordable and very detailed to there work. They worked in a very timely manner. Everything they cleaned wsa very nice and my home was very clean and shinny and smelled very clean. We had them to remove 2 trees and put in a gravel driveway. They were very detailed in there work, didnt waste anytime and were very pleasant to work with. I would definately recommend them to anyone needing anytype of work or plumbing services.